Buco prides itself not only in serving some of the most delicious traditional neapolitan pizzas but a wide range of fresh modern Italian dishes that will make your mouth water. 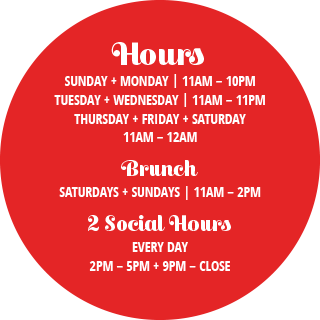 BRUNCH BEGINS SATURDAY, APRIL 28. Bring your own wine. Dust off that bottle and toast to free corkage! Come in or get Buco2Go this weekend! 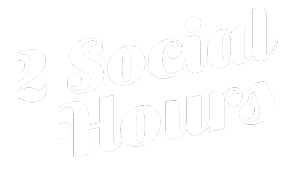 In the spirit of Italian hospitality, enjoy Social Hour pricing and any bottle of wine for 25% off! Buco Pizzeria + Vino Bar invites you to gather around our table to experience an authentic Italian Feast. In Italy it’s understood that food is best served fresh, plentiful and eaten in the company of those we enjoy! Christmas parties, anniversaries, birthdays, and more! Our Italian Feast Menus are the perfect way to sample unforgettable flavours of Italy, presented on beautiful platters to share around the table “Famiglia-Style”. Please Note: We are happy to create a Custom Feast for your next occasion. Let BUCO Pizzeria + Vino Bar take care of the details for your next event. Whether you’re planning a corporate event or a private gathering, we offer award winning chefs, delectable food, and superior service. To book your catering, please fill out the following information and someone will be in touch the next business day or call our catering line at 780.477.2789 (780.47.PARTY). Buco Pizzeria + Vino invites you to gather around our table to experience an authentic Italian Feast. In Italy, it’s understood that food is best served fresh, plentiful and eaten in the company of those we enjoy! Be sure to check out our other locations.